As we saw with the story of Isabella of Gloucester, King John of England was not a good king or a good husband. His marriage to Isabelle of Angoulême was no exception. Her age at the time of her marriage is a matter of debate and created some controversy. King John also stole her from a French nobleman who planned to marry her, creating resentment and discord on the Continent, resulting in King John losing his Plantagenet territories in France. There is little in the way of historical record on Isabelle but some of what remains is filled with wild rumors and outrageous gossip about sexual escapades. Isabelle was the only child of Aymer Tallefer, Count of Angoulême and Alice, daughter of Peter de Courtenay, a descendant of King Louis VI of France. We know nothing of her childhood which was certainly cut short by her marriage. Estimations vary on the age of Isabelle at the time she wed King John from nine to fifteen. The best guess is she was the canonical age of twelve. Isabelle’s father was lord of a wealthy and strategically well placed province in southwestern France, situated between the Plantagenet territories of Poitiers and Bordeaux. In early 1200, Isabelle was betrothed to Hugh IX, Count of Lusignan and newly appointed Lord of La Marche by King John of England. 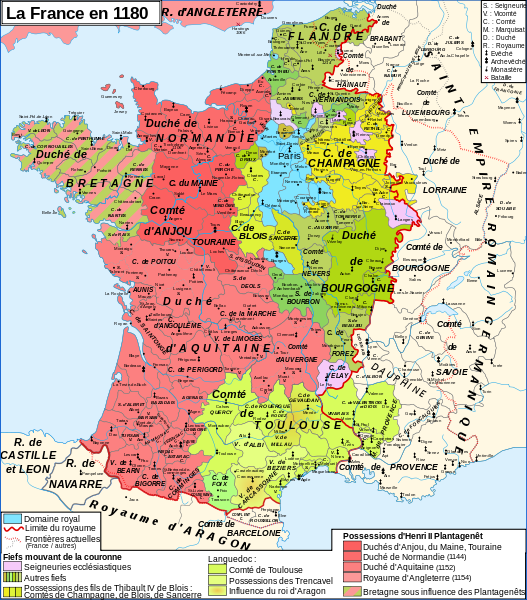 This marriage alliance was greatly disturbing to King John as it would significantly upset the balance of power between Aquitaine, Lusignan, Angoulême and La Marche and create an ominous threat to his holdings in France. 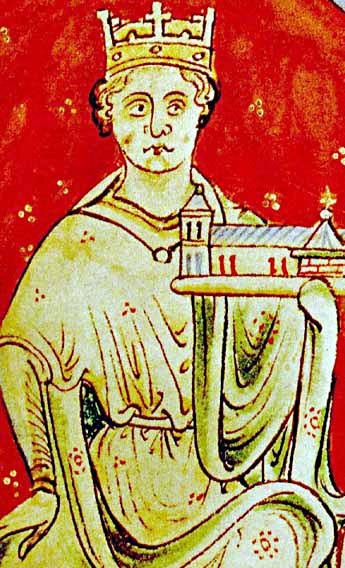 John had recently become King of England after the death of his brother King Richard the Lionheart. He had been married to his cousin Isabella of Gloucester for ten years. The marriage had never been given the sanction needed by the Pope due to their being related within the prohibited degrees of consanguinity so John easily extricated himself from the union. John sent an embassy to Portugal to negotiate for a Portuguese bride and went to visit Hugh in Lusignan. John may have wanted to curb the power of Hugh by taking his bride. Or he may have fallen in love with Isabelle as she was supposedly very beautiful as her mother had been. Or maybe it was a combination of both. A betrothal would have settled the matter but for some reason he chose to marry Isabelle. The records hint that King Philip of France may have suggested the marriage. The embassy to Portugal was recalled. There were talks with Isabelle’s father on July 5 and they were married on August 24, 1200 in Bordeaux Cathedral, Gascony. John never compensated Hugh, alienating his family and leaving them furious. At the beginning of October, John and Isabelle crossed the Channel to England. Isabelle was crowned on October 8 at Westminster Abbey. They then made their way to Wiltshire where John lodged her at Marlborough and left on a royal tour. Later that year, Isabelle accompanied John to a meeting with the King of Scots, William I the Lion at Lincoln and then they travelled back through England via Cumberland and York. They spent Christmas at Guildford and made their way to Canterbury for a crown-wearing on Easter, March 25, 1201. Isabelle and John came to Normandy in May of 1201. They visited King Philip II of France in Paris in July and then Isabelle joined John’s sister-in-law, Queen Berengaria at Chinon. They spent Christmas in Caen. 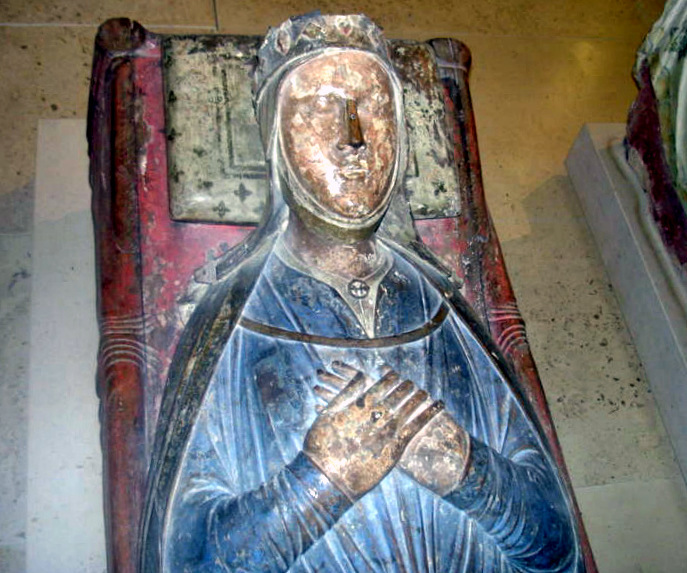 In 1202, Isabelle’s father died and she became Countess of Angoulême in her own right. However, she would not be formally recognized as Countess until 1206. Isabelle remained in the south after her father’s death, possibly with her mother. In the autumn of 1202, John’s territories in France were surrounded on two fronts: the Bretons in the west and by King Philip to the east who was assaulting his castles. John got word in January of 1203 Isabelle was being pressed upon by insurgents at Chinon. John set off to relieve her but was waylaid when he heard one of his supporters had defected to King Philip. A detachment of mercenaries led by Peter de Préaux was sent to liberate her. After being freed, she spent more time with her mother before returning to England in December of 1203. John and Isabelle spent Christmas in Canterbury. Isabelle had been promised various territories and holdings upon her marriage, mainly consisting of the lordships of Niort, Saintes and six other towns in Poitou and Anjou. When John’s mother, Eleanor of Aquitaine died in 1204, Isabelle was promised dower lands in England and Normandy, including towns in Exeter, Wilton, Ilchester and Malmesbury, the honour of Berkhamsted, a farm in Waltham, Rockingham and the county of Rutland. However, John bestowed the promised lordships to powerful local magnates and then confiscated the rents for himself. She also never received the obligatory “Queen’s gold” that her predecessors Eleanor of Aquitaine and Berengaria of Navarre had benefited from. In 1207, John decreed the “Queen’s gold” was not to be paid to Isabelle and pocketed the money for himself. Isabelle is only mentioned in one charter from 1204 and she issued no charters in her own name as queen. Instead of giving Isabelle her own household, John came up with the unusual idea of having her stay with his first wife, Isabella of Gloucester. She also spent time at Marlborough in the home of Hugh de Neville, whose wife was at one time the lover of John. Although Isabelle didn’t spend a lot of time with John, the marriage must have been fairly harmonious because they had five legitimate children between the years 1207 and 1215. She had her first child in October of 1207, a son named Henry, at Winchester Castle. She would give birth to another son Richard of Cornwall, a daughter named Joan who would become Scottish queen, and another two daughters named Isabella and Eleanor. After the birth of Henry, Isabelle lived for a while in Corfe Castle. While John was generous in his allowances for Isabelle to buy clothes, there are hints that Isabelle was kept in captivity and in financial straits. John may have demeaned and scorned her by not paying her expenses adequately and not giving her the privileges normally enjoyed by her predecessors. John was not faithful to her and continued his sexual peccadillos. In February 1213, King Philip of France was threatening invasion. John and Isabelle with their son Richard sailed from Portsmouth to La Rochelle. A month later they were in Angouleme and then moved on to Angers by June. Isabelle wanted to marry her daughter Joan to Hugh X de Lusignan, the son of her former fiancé. The betrothal became official in May. Isabelle’s hand in the negotiations of the betrothal of her daughter may have caused the Poitevin lords to resent John even more and they refused to fight with him against the French King. In 1214, John lost his holdings in Normandy to King Philip. In October, Isabelle and John returned to England. The loss of Normandy was John’s own fault, of course but John accused Isabelle of being the cause. The chroniclers followed suit as they couldn’t openly blame John. The chroniclers also accused Isabelle of all sorts of wild escapades. But there is no real hard evidence Isabelle was sexually promiscuous or engaged in incestuous relations. After their return to England, the barons rose against John, forcing him to acknowledge and seal the Magna Carta. The political situation was tenuous. John probably felt the need to take measures to ensure Isabelle’s safety. A mercenary and favored servant of John’s named Terric the Teuton, along with an armed guard, accompanied Isabelle from Freemantle to Berkhamsted. In December, she was moved to Gloucester, then Winchester in May of 1215 and on to Marlborough and Bristol in 1216. Wales was in a state of rebellion and uprising during this time too and this could be why she needed to be carefully safeguarded and watched over by armed men. After the sealing of the Magna Carta, John immediately repudiated its terms, resulting in the First Barons’ War. The barons invited Louis of France, son of King Philip to become king of England. Louis was on his way to invade when John died on October 19, 1216. Isabelle was in Bristol when she got word of John’s death. Louis was defeated and paid to return home. Isabelle’s son was now King Henry III and she attended his coronation at Gloucester Cathedral on October 28, 1216. A regency council was established for Henry which didn’t include her. She made three grants for salvation of John’s soul and never mentioned him again. She either had no interest in a role in the ruling of England or came to the realization she never would be allowed to participate. She appears to have desperately wanted to go home. She demanded vociferously from the regency council that she be given all she was entitled to from her marriage settlements and from being queen and they did relent and release her properties to her. She left four of her children in England and returned to Angoulême in 1217, taking her daughter Joan with her, ostensibly to deliver her to her betrothed. Isabelle’s cousin had wrested her rights in Angoulême from her in her absence. She spent three years regaining her rights and establishing her government. Then, in a very strange turn of events, Isabelle married Hugh X de Lusignan, her daughter’s fiancé and the son of her prior betrothed early in 1220. She needed an ally to help her as Countess of Angouleme. The English demanded she return Joan to England but Isabelle in essence held her daughter hostage to obtain her dower rights in France, which had been promised to her upon her marriage to John. Eventually, King Henry and King Alexander II of Scots arranged a marriage and Joan was returned to England. Her wedding to Alexander was celebrated on June 19, 1221. With Hugh’s de Lusignan’s marriage to Isabelle, he became Count of Angoulême, thereby fulfilling the prophecy of John’s nightmare when he took Isabelle as his wife. Together they founded the abbey of Valence and they had eleven children, most of whom survived, went on to marry and have issue. Her marriage proved to be unstable, with Hugh being unfaithful, bitter quarrelling and many threats of divorce. But Isabelle appears to have had some degree of personal authority during this marriage, issuing charters in her and her husband’s name. Isabelle used the title of Dowager Queen of England for the rest of her life and utilized a royal seal. She and her husband renewed their fealty to France putting her in conflict with her son King Henry. Her son Richard of Cornwall was fighting with her over control of her territories. Amidst the fighting, King Henry III brought an expedition to France in 1230. Isabelle met with him for the first time since she left England in 1217, in spite of his resentment of her desertion of him. In 1231, she gave control of her re-confiscated English dower holdings over to Richard and by 1241, she was quarreling with the King of France. She and Hugh vacillated back and forth in loyalty between Henry and the French king. Isabelle spent twenty years trying to construct an empire for herself through militancy and diplomacy without much to show for it. After a big showdown in July of 1242 at Taillebourg, Isabelle retired to the abbey of Fontevrault, becoming veiled as a nun on her deathbed. She died on June 4, 1246 and was buried in the abbey. Funeral rites were observed in England for her and gifts and endowments made. Her children by her second marriage played a fundamental and pervasive role for many years in the reign of her son, King Henry III of England.